Self drilling T17 gash point screw with hex head and EPDM washers. Used for joining metal roofing panels to timber frame buildings. Salt spray tested to 1000 hours. 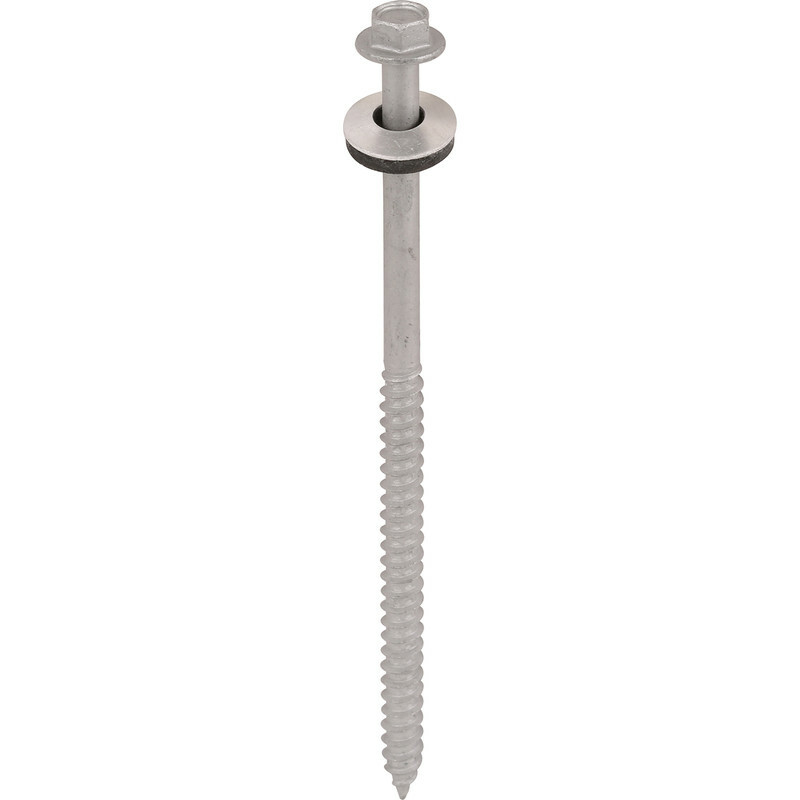 TechFast Sheet To Timber Hex/Washer Roof Screw 6.3 x 125mm (50 Pack) is rated 4.0 out of 5 by 1. Rated 4 out of 5 by Nolstead from Fixed Fixed garage roof down after high winds. Did not cut into steel as well as hoped, but certainly locked down into timbers well.